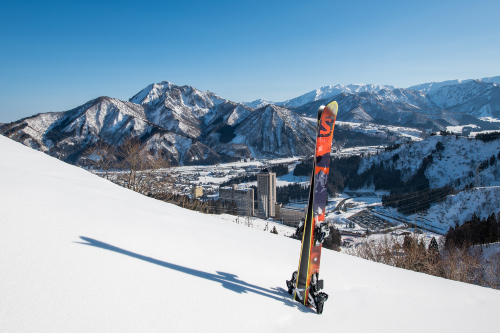 NASPA New Otani Resort is a deluxe hotel and resort located in the beautiful mountainous surroundings of Yuzawa Town in Niigata Prefecture, Japan - just 80 minutes from central Tokyo. NASPA New Otani hotel offers guests beautiful guest rooms, restaurants, onsen hot springs and leisure facilities throughout the year. The adjoining NASPA Ski Garden ski hill is now closed but will be open for the 2019-2020 snow season in late December 2019.